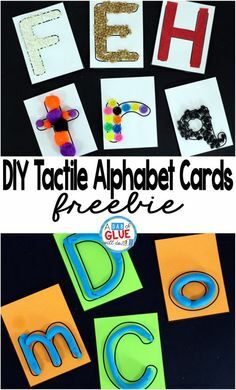 Spring and Easter Crafts are so much fun! 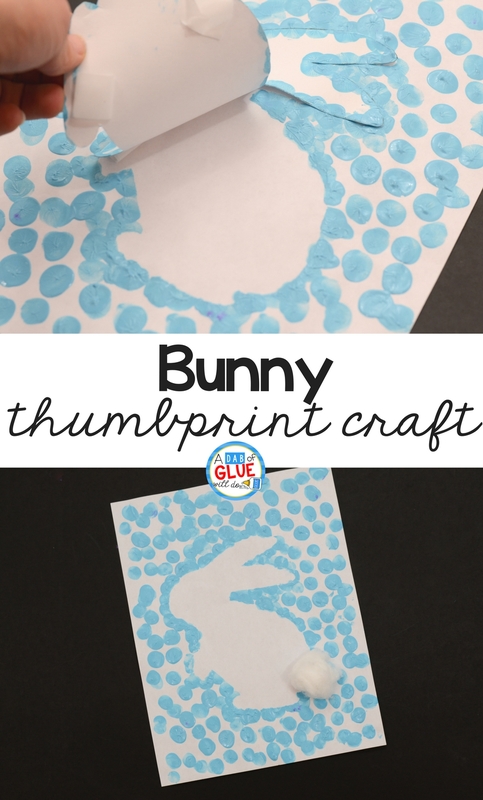 This Bunny Thumbprint Art is a great activity to do during springtime. 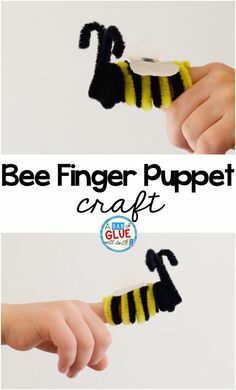 This fun sensory craft uses a simple bunny shape to create a bunny silhouette with a cute fluffy tail! 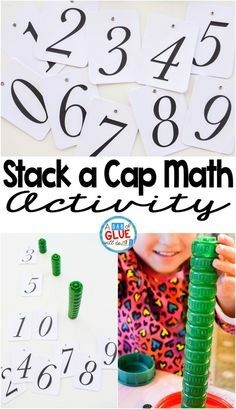 It’s a perfect activity to include in all of the Easter fun. 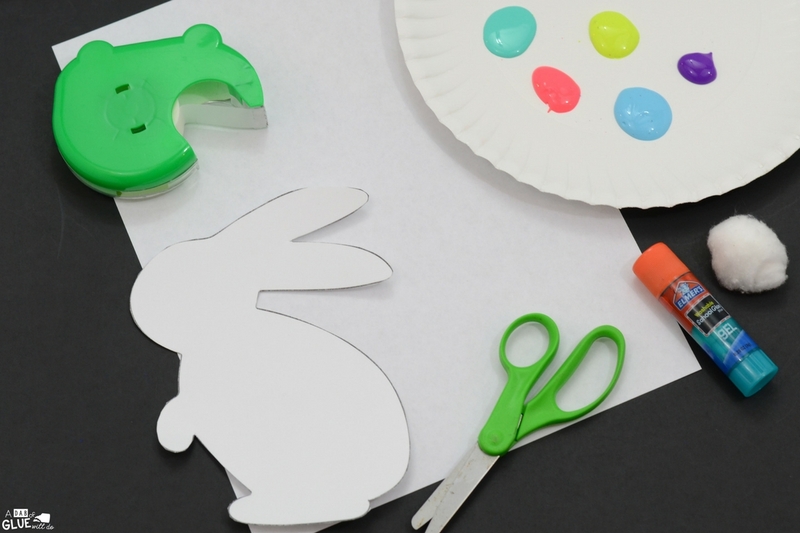 To get this craft ready, prepare the bunny template by printing and cutting it out. 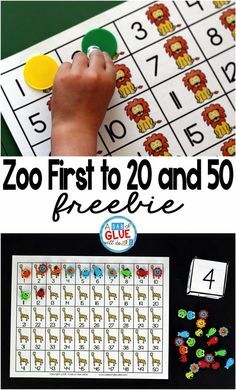 Get the paint ready for the kids to use by putting it out onto a plate or something the can press there thumb onto. It also helps to get the tape ready by rolling it into pieces, ready to use to stick the bunny down. 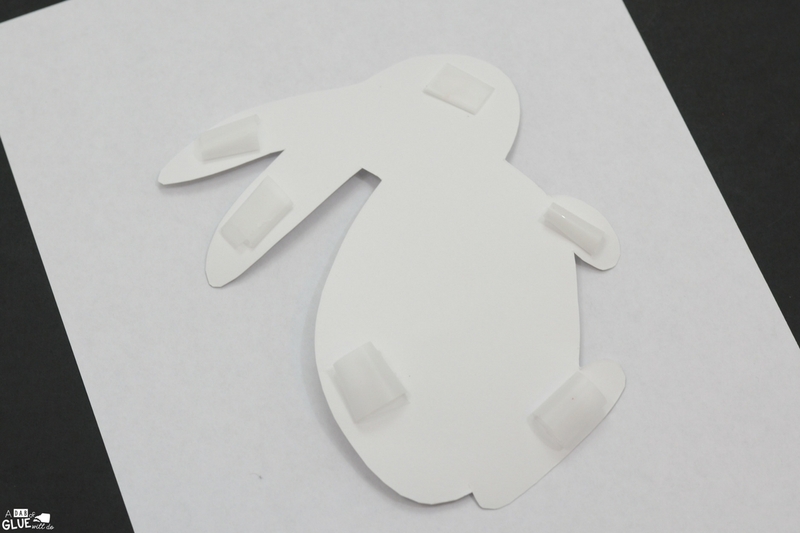 The students will start by taping the bunny template onto a white piece of paper using rolled up pieces of tape. 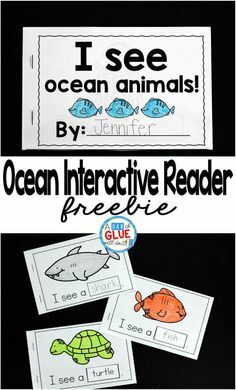 Now it’s time to make thumbprints! Start by making thumbprints all around the outside edge of the bunny shape. 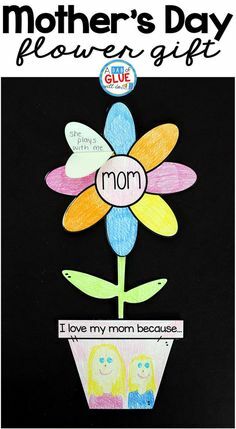 Make them overlapping or close together to fully outline the shape. 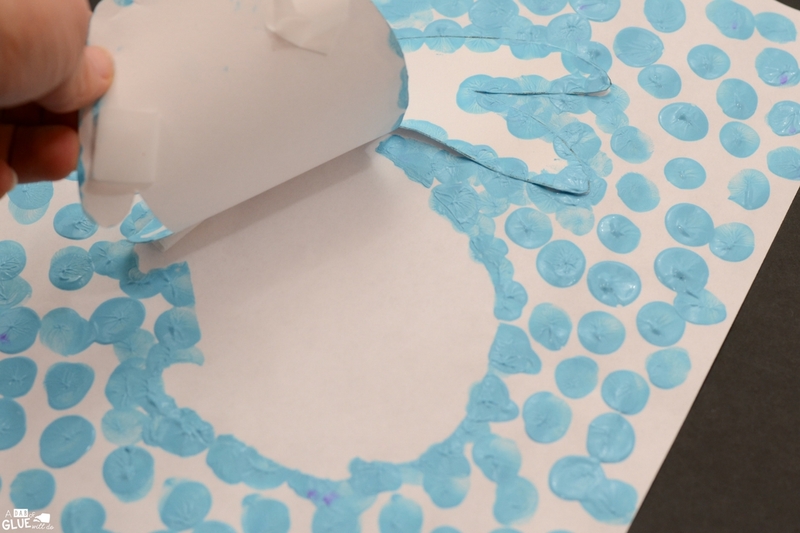 This time we used one color of paint, a light blue, but we also used bright Spring colors which also looks great! 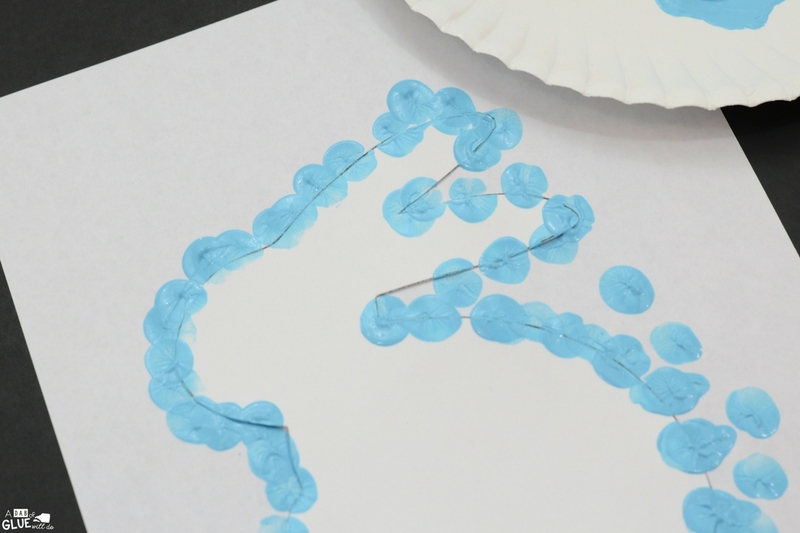 After the shape is outlined with thumbprints, begin making thumbprints all around the paper, as close together as you’d like. Go all the way to the edge. You can keep using the same color, or switch to another Spring color to mix it up a bit. Now it’s time to peel up the bunny shape to reveal the silhouette. Slowly pull up the bunny shape, being careful not to tear the paper. After peeling up the shape, it’s time to add a cute, fluffy tail! Use glue and a white cotton ball to add a tail to your bunny. We pulled apart the cotton ball just a bit to make it extra fluffy. Now your bunny is complete! 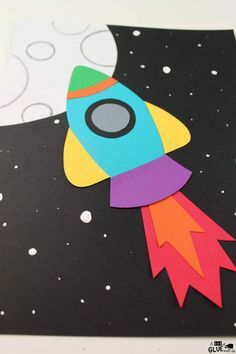 These would make lovely Easter cards or classroom decorations, and would be a lot of fun to do at an Easter party. 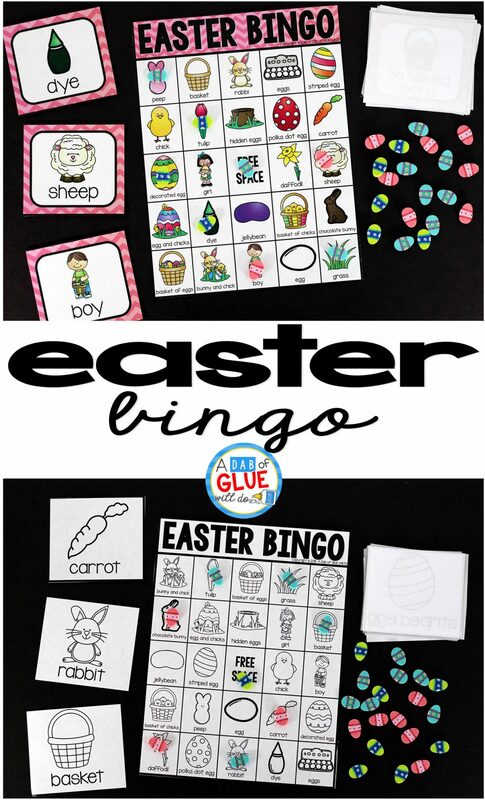 You might also like Easter Bingo! 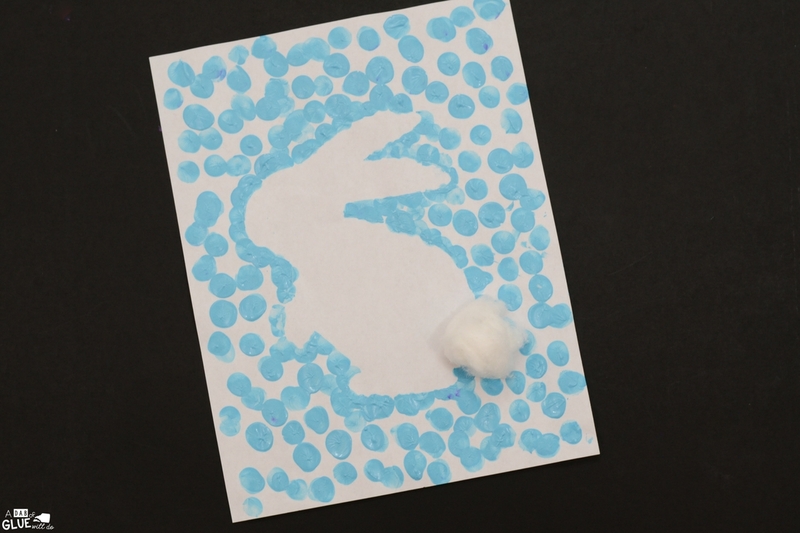 Download your Easter Bunny Thumbprint Art Template below! 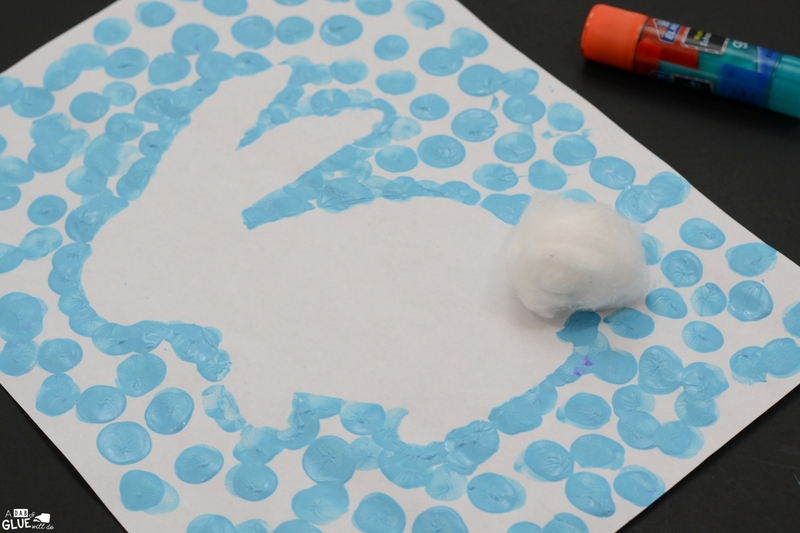 I hope that you and your students enjoy this Easter Bunny Thumbprint Craft!